"JOHN BOWMAN, Farmer, Carnamah, sworn and examined: I hold 2,200 acres. I had no previous experience in Western Australia, but I was brought up on a farm in Scotland. My land is four miles north of Carnamah and about four miles from the railway. It is Midland land. I bought it in Scotland, where I took one of the farms and 500 acres additional. After being here six months, I bought three more ready-made farms. My numbers are 950 (with 500 acres additional), 926, 927, and 928. About 1,850 acres is fully cleared. Each farm is equipped. I paid on an average £5 per acre for the land; the payments extend over 20 years, with 5½ per cent interest on the unpaid principal. I had no fallow as yet. I have 50 horses, and £3,000 worth of plant and machinery. I had a 45-horsepower tractor. In my first year I averaged 21 bushels, last year it was only 12 bushels. It was put in very late. I averaged eight bags for 450 acres put in earlier. The year before last I used 70lbs. of super. Last year I used 60lbs., and this year I am using 80lbs. Last year I used 45lbs. of seed. I am doing the same this year. The proposition is not all that the Company held it up to be, but I think the ground is good value for £5, and granted a normal year and proper methods of cultivation, the ground will turn out at least 20 bushels. I do not think the Company is right in asking the sellers to repay so much capital and charge interest for the first few years. For the first six or seven years the settler ought to be called upon to pay only a nominal sum until the land is really reproductive. My tractor is perfectly satisfactory. I do some contract work for the Midland [Railway] Company. My tractor pulled 30 furrows to a depth of four inches. It is no good for fallowing, it uses too much power. It would go far to make a contented settlement here if the Midland Company could be prevailed on to give the farmers some consideration during the first few years. The question of the size of the block depends on the man. A man can always get additional land adjoining his block. I think the price of the additional land is a little too high at 15s. an acre; 12s. would be more like a fair value. I have no sheep yet. I have no place to put them. One most have something in addition to wheat. I estimate the cost of cropping, including, seed, bags, etc., at approximately 30s. For contract ploughing, cultivating, and seeding last year I got 15s 6d., including carting the seed and pickling the wheat. For harvesting I got from 7s. 6d. to 8s. 6d., with a special price for carting at 8d. a bag all round. My contracting this year has not paid very well owing to the high cost of labour and living for the men. I am not getting behind. I am just about holding my own at wheat growing. I have not made much by contracting." "One of the biggest farms in Carnamah is Mr John Bowman's, of 8,000 acres, all cleared, of which 2,500 acres are fallow and 2,000 under crop. He will have 3,000 acres under wheat next year, including 500 of newly cleared land. The soil is heavy, partly salmon and gimlet, and the balance York gum and jam, this latter alone having given good results this year. Mr Bowman uses Nabawa, Gluyas Early and Merredin wheat. He has a three year rotation - fallow, crop and pasture - and sows 45 to 50 lb. of seed and 100 to 125 lb. of superphosphate, according to the time of sowing. The yield will average probably 16 bushels. He runs a flock of Merino ewes with Border Leicester rams, and supplies to the fat lamb market. Mr Bowman arrived from Scotland about 1915, and was the first chairman of the Carnamah Road Board, having been first a member of the Mingenew board." "One of the largest landowners in the district is Mr. J. Bowman. He is a Scotchman, hailing from Kinross-shire, where the streams are said to provide the best trout fishing in the world. Mr. Bowman is a mining engineer by profession and has won coal in Scotland, the East Indies, and Borneo. He once managed the largest colliery in Scotland. He acquired land in the district 15 years ago and now owns 8,000 acres of good, cleared wheat country. This season he cropped 3,000 acres of wheat, 2,600 acres of which were on fallow. "The season, with its light rainfall, was a crucial test and good fallow and cultivation are standing out," Mr. Bowman says. Harvesting not being completed, his average yield could not be ascertained but 250 acres went eight bags. For the forthcoming seeding Mr. Bowman has 2,200 acres on fallow. The property is carrying 3,000 sheep and Mr. Bowman, this year, is watching with interest the results of a 200-ton stack of silage. He is one of the most esteemed and influential men in the district. As first chairman of the road board he did sterling work, and although he has retired from the board his work as chairman of the ratepayers' and citizens' association is much appreciated." "The resignation of Mr. John Bowman, one of the north ward members on the Carnamah Road Board, has been received with great regret by both of the Board and the district generally. Mr. Bowman, who has been forced to resign owing to ill-health has been associated with local government in the district for many years. Joining the Mingenew Road Board as one south ward representative on a Board whose boundary stretched from Dongara nearly to Watheroo, Mr. Bowman later became the first chairman of the Carnamah Road Board, when it was formed in 1923. Mr. Bowman enjoyed a slight spell until he was elected in August 1932, taking the seat left vacant by the death of the late Mr. Robertson, who had been elected as chairman the previous April. The chairman and members of the Board at the meeting on Wednesday expressed their deep appreciation of the services of Mr. Bowman, both to the Board, and to the district as a whole." "Carnamah, Sunday - Mr John Bowman, a well-known farmer of Carnamah, died last night at Carnamah at the age of 78. The late Mr Bowman was a Justice of the Peace and one of the earliest pioneers of the district. He and his family arrived from Scotland in 1915 and settled in Carnamah, where he was one of the first farmers to grow wheat on a large scale. He was also a foundation member of the Carnamah Road Board. He left a widow, five daughters and a son." "It is with sincere regret that this paper records the passing of one of the early pioneers of Carnamah in the late Mr. John Bowman at the age of 78 years. Mr. Bowman came to Australia from Scotland in early 1915 and settled in Carnamah and was widely known and a highly respected citizen and whose passing will be deeply regretted by all members of the community." "The death occurred at Carnamah on Saturday night last of a well-known and highly respected resident of the district in the person of Mr. John Bowman, who had not enjoyed normal health conditions for some considerable time past. 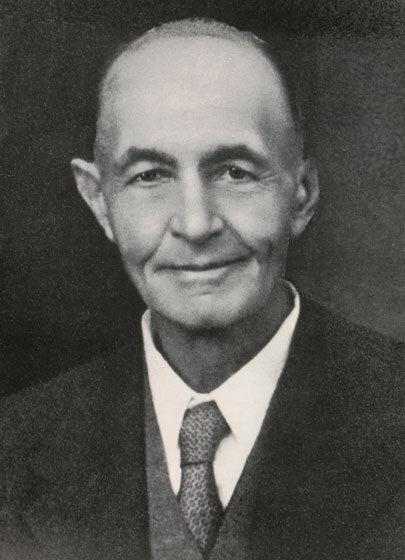 The deceased gentleman, who was seventy-eight years of age, was born in Scotland and came to Carnamah shortly after arrival in Western Australia with his wife and family in 1915, thus being one of the earliest district pioneers and also one of the first farmers to produce wheat on a large scale. He was a justice of the peace and a foundation member of the Carnamah Road Board, of which he was the first chairman, and in his earlier years he also displayed a keen interest in the public and sporting activities of the district. The late Mr. Bowman is survived by a widow, one son (Mr. David Bowman) and five daughters in Mesdames J. Dixon, I. Johnson, P. W. Thomson, D. Johnson and Miss Margaret Bowman, who have been the recipients of innumerable expressions of sympathy. The funeral took place in the Winchester Cemetery on Monday last and was attended by residents from all parts of the North Midlands, the service at the graveside being conducted by the Rev. G. Patrick, of Three Springs. The pall-bearers were Messrs. A. A. McGilp, J. K. Forrester, F. Lucas, sen., W. Davison, G. A. Raffan and H. V. Johnson, M.P., and the casket was borne from the hearse by Messrs. C. Robertson, L. W. Grierson, E. Haig and E. K. Wells. Innumerable floral tributes were laid upon the grave. The mortuary arrangements were conducted by Mr. H. H. Knight of Three Springs." The Late John Bowman was an Honorary Life Member of the Carnamah Sub Branch R.S.L. ; a Justice of the Peace; a foundation member of the Carnamah Road Board and its first Chairman. He leaves a widow, five daughters and one son. The funeral took place at the Winchester Cemetery on Monday, at 4 p.m. Rev. Patrick, of Three Springs conduced the last rites. Casket bearers were: Messrs C. Robertson, L. W. Grierson, E. Haig and E. K. Wells. Pall Bearers were: Messrs A. A. McGilp, J. K. Forrester, F. Lucas Sen., W. Davison, G. A. Raffan and Vic. Johnson, M.H.R."